Missing teeth not only affect the way you look, but they also affect your oral health and the way you feel about your smile and yourself. It is never a good idea to ignore a missing tooth, a decayed tooth, a broken tooth, or just in general tooth pain. Dental crowns and bridges are tooth restorations that bring back the looks and function of your original tooth. Depending on your case and your dental situation our doctors at Bayview Village Dental will recommend the right restorative procedure for you. Dental Crowns are strong and durable artificial caps that are fitted to the right shape and size of your tooth and matched to its right color. Crowns can be used for cracked teeth, to hold the tooth together, seal the cracks and prevent further damage. They can also be used when a tooth is badly decayed and there’s not enough tooth structure remaining to provide support for a filling. In those cases the crown uses the original tooth root as its foundation. In cases of missing teeth a crown can be also used, but it requires the helps of a dental implant, which serves as an artificial root for the crown. Dental Bridges are mainly used to fill the gaps of missing teeth. They consist of artificial teeth, which are permanently fixed to healthy supporting teeth on either side of the gap. Just like crowns, dental bridges are also custom fitted to match the size, shape and color of the original, as well as the surrounding teeth. A bridge can be made from either porcelain, metal or both. 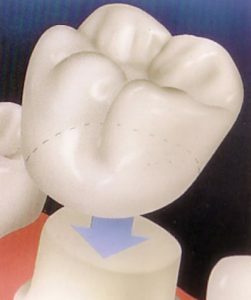 When preparing a conventional bridge, our doctor will prepare the teeth on either side of the gap first, so that they can successfully hold the bridge in place. 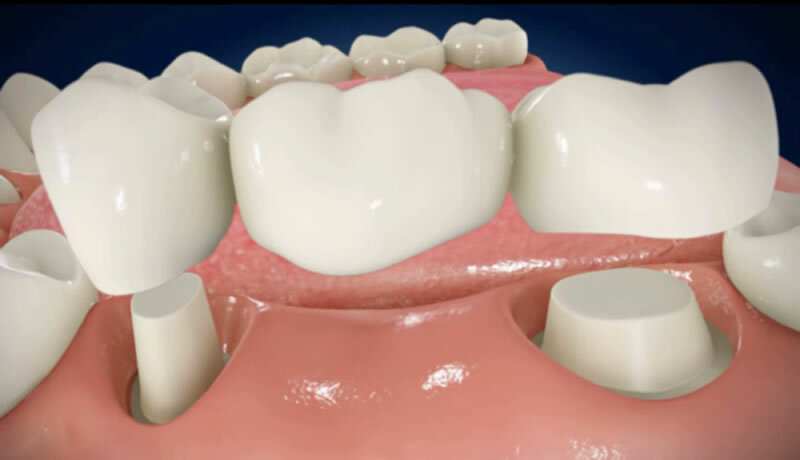 Dental bridges are strong, durable and natural looking restorations.